All real estate agents will claim they can sell your house... I promise to sell your house at the maximum price, with minimum hassle. This is always my end goal. Selling a home successfully requires experience, time and resources. 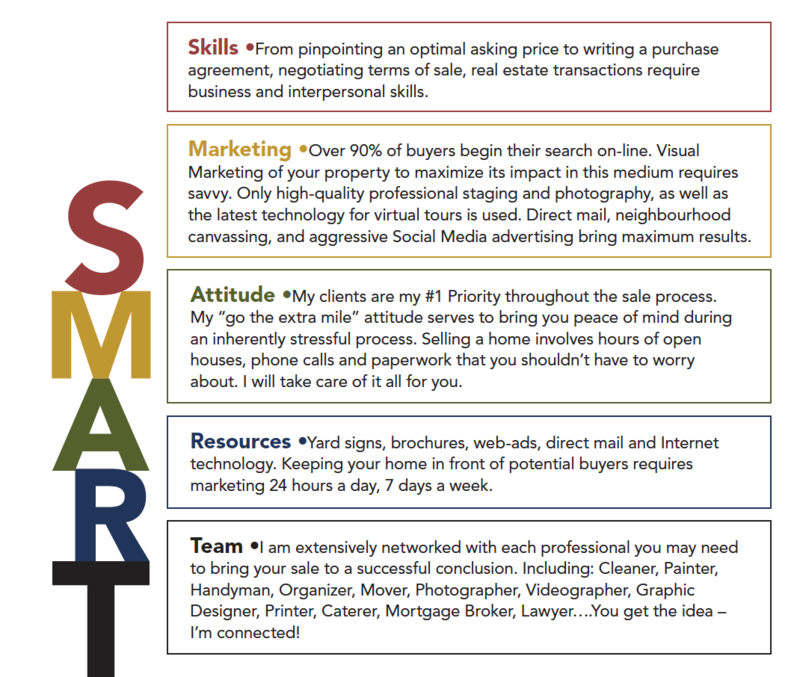 Here’s why hiring me as your agent is a S.M.A.R.T decision. I will work with you to understand your unique lifestyle, needs, and wishes because buying a home is more than deciding on a certain number of bedrooms or a particular neighbourhood. It’s about your life, and it’s important to me.